Why does a marketplace need an investor? How do you check the hypotheses and find a target audience? Anton Yermolenko, a CEO of the Shafa.ua online marketplace, describes the challenges he faced during the launching of the project. 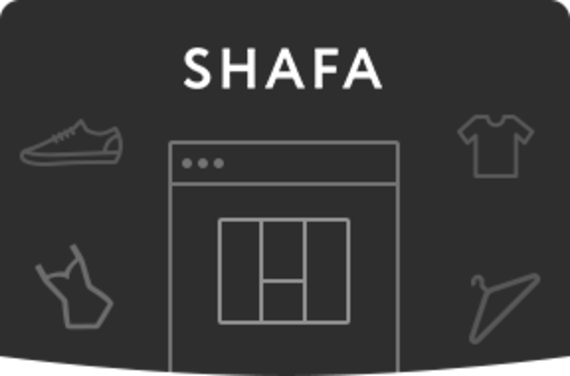 Shafa is a huge web platform where people can buy second-hand clothes and accessories. Andriy Logvin, one of the owners of ModnaKasta, was an initiator of the Shafa.ua web platform, and to begin with, the project was supposed to be subsidiary. Andriy thought in a strategic way: ModnaKasta placed in the finals at the clothes sale cycle. Shops were unable to sell brand new items and sent it to the ModnaKasta website. Shafa took it to the next stage: here is stuff that was bought before and that is not currently being worn. Pretty soon it became obvious that the project should be taking its own route. In September, 2013, it was launched as a startup. ModnaKasta does not own Shafa, but it is an investor and partner. I don't consider it realistic to launch an online marketplace without an investor. It's a never-never land. You need money for advertising and promoting your project unless your product is a surefire hit that will be profitable in any case. But don't rely on it too much and take off your rose-coloured spectacles. You should understand that without money your promotion will take too much time that you don't have. 70% of hypotheses were initially wrong. We considered our audience might be a house-sitter girl. She has a wardrobe full of clothes, and she wants to sell them. We’ve had faith in this idea for a long time but we made a mistake. First off, this girl can’t take good photos, she lacks motivation. Second, she won’t be in touch with her potential buyers. Thirdly, she won’t be in any rush to send off her orders from the local post office. Today, we are a web marketplace for sellers, for micro-businessmen. These are the people who are interested in making money. For them, sales are a real source of income, and we have a dream — to help them become professionals. Micro-businessmen could be mothers on maternity leave, students, women of 25-45 years old who decided to start selling clothes. Sources of goods for them are second-hand shops, stocks, dropshopping and delivery of clothes from abroad. The idea of trading with used goods is obvious for everyone who has been to a second hand market at least once. From one perspective, there are a lot of good clothes for little money. On the other hand, an ordinary person won’t go to the second-hand shop — it's not “acceptable” for him. That's why we buy clothes from a second-hand shop, wash it, take cute pictures, increase the price by 300% and — voi la — we have a great product at a bargain price. Some sellers made this business their main source of income. As for the second segment of the target audience — it's very simple. The project took the niche, which is familiar to everybody offline — Shafa became a market of second-hand stuff. When a person makes a purchase on a web marketplace, he can hardly have a desired level of service and security. Luckily, people understand that they are on an online marketplace and not a real shop. A marketplace is a platform where people meet, and it's up to the clients whether to accept a deal and undergo all the risks or not. The value of any marketplace is in the ability to help choose and make a decision. Feedbacks and reviews are very helpful. The analysis took a month. We studied the most successful projects in the world — Vinted, TreadFlip (note — from January, 2016 Le Tote), Poshmark, and analyzed them. Hiring a developer took another month, and 2 weeks were gone on creating a one-page test version of the platform (MVP). Development of the site is still in progress. 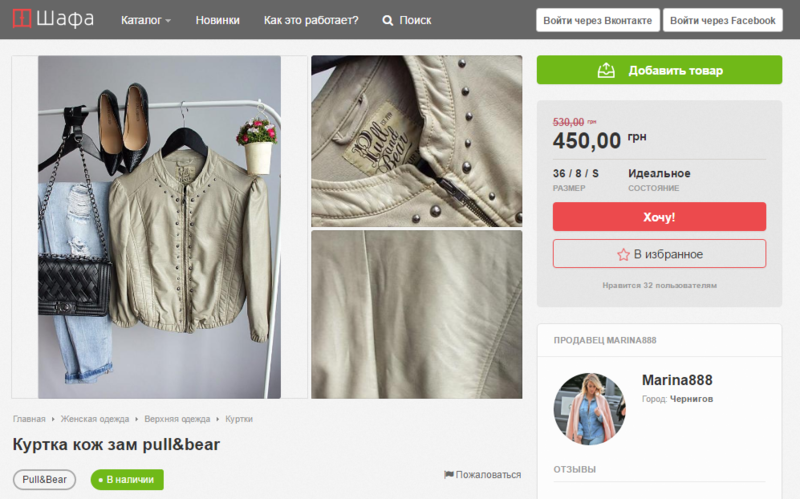 The main difficulty was to find sellers and tell them: “Get the items prepared, despite that nobody will buy it, because there are no buyers at this time”. Then it was necessary to find buyers and attract them to the web platform. Wrong design of the hypothesis regarding the target audience. These mistakes are normal when introducing a new product to the market. Similar projects start becoming profitable at a very slow rate, we thought that we would launch and promote a platform within a year, but on average it takes no less than 3 years. To find out the mistakes from the very beginning, it is highly recommended to create an MVP. We are at the stage of searching our monetization model, today we have only the profit that we gain from placing announcements at the top of the main page and in categories. This advertising model was denied from the very beginning, it is an annoyance to our clients. We did not understand the story about SEO and tried to find the traffic from social networks, but that did not work. If you launch a C2C web marketplace, then a User Generated Content (UGC) should be used by default. And if so, you should understand that you cannot survive on commercial sources of traffic. It's vital to learn how to use free channels. Today we don't spend money on attracting customers. However, we spend money on SEO, but it's within the basis of our strategy. Nowadays, the bounce rate is 22%, a visitor spends 12 minutes on the site, the average frequency of attendance being 5 times a day. An Internet shop cannot have such indicators. On our platform, people go 18 pages deep (visit depth), on an Internet shop that's only 2-5 pages. Now the Shafa.ua team works on minimizing the number of encumbrances a visitor faces who really wants to post or buy something. In the future, the design of the site will be updated, and new channels of monetizing will be tested. What would be good advice for those who are launching a marketplace? Just a few words. I think a marketplace is like a stone — you push it up a mountain, and then it rolls down by itself. It feels really unbelievable when it is rolling down, but you should work hard to get to this point.